Would You Trade Your Pet to be Debt Free? What Would You Trade? Home » Economy » U.S. Economy » Would You Trade Your Pet for a Debt-Free Future? Would You Trade Your Pet for a Debt-Free Future? Imagine you could wipe out your credit card debt … by giving up a beloved family pet. I’m sure that for many of you, the idea is unthinkable. I know that I could never get rid of Luna, my adorable pitbull/shar-pei mix. Not in a million years. One-third of Americans with credit card debt are losing sleep over their debt. That’s according to a new survey from mortgage lender Mr. Cooper. After all, the average U.S. household now has more than $8,600 in credit card debt. And 44% of those can barely even make their minimum payments. That’s putting everyday Americans in some painful situations. Mr. Cooper found that 32% of those with debt would give up their favorite treat for a whole year in order to be debt-free. OK, that one doesn’t sound too bad. But some people would go to the extreme to get rid of their crippling credit card debt. Some would donate one of their kidneys. Others would live in Antarctica for two years. And, yes, some of you would even be willing to give up your pet. Of course, these options are more silly than serious. But Americans’ massive debt burden is no joke. And with credit cards’ ridiculously high interest rates, the problem is only going to get much, much worse. 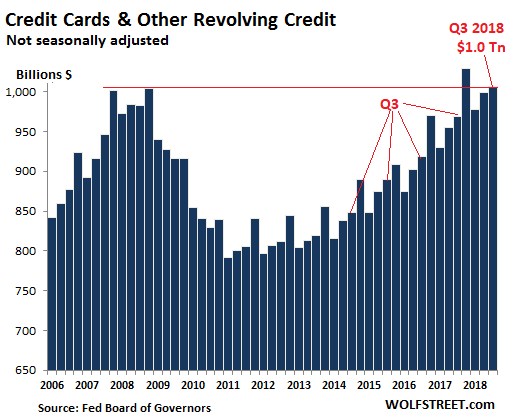 The last time credit card debt was near this level was in the months leading up the 2008 financial crisis. Any way you look at it, this is a bad sign — consumer spending accounts for more than two-thirds of the gross domestic product. And as we head into Black Friday and the holiday shopping season, record-high debt and rising interest rates could result in lackluster sales numbers at a critical time. That’s why right now it’s as important as ever to be cautious with your investments. How about you? 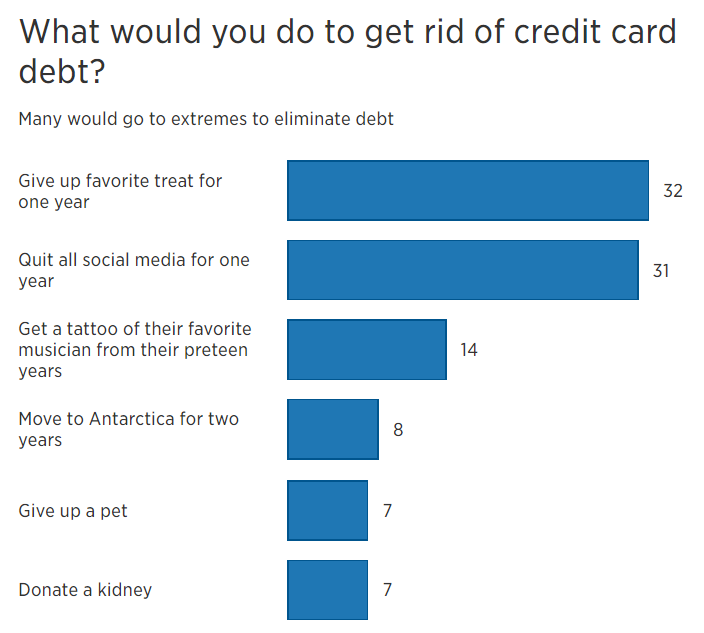 Would you give up your pet to get rid of your credit card debt? And do you think the debt level has grown enough to trouble the U.S. economy? Write us at SovereignInvestor@banyanhill.com and let us know what your thoughts are.